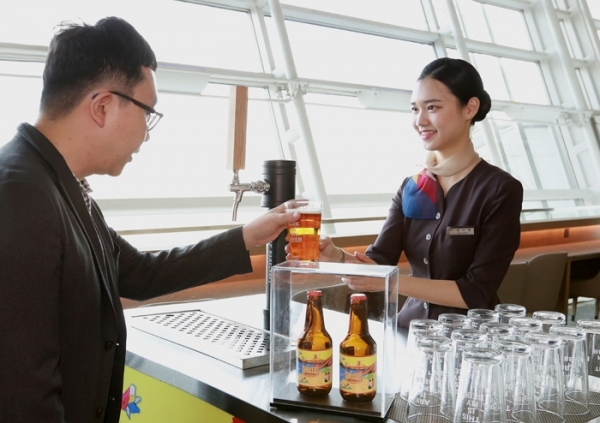 As Hainan Airlines welcomed its first Boeing 787-9 Dreamliner, it is also the first aircraft with the airline’s new “Dream Feather” interiors as part of a larger upgrade of its brand design, and the introduction of its “Super Economy” (Premium Economy) product for the first time. 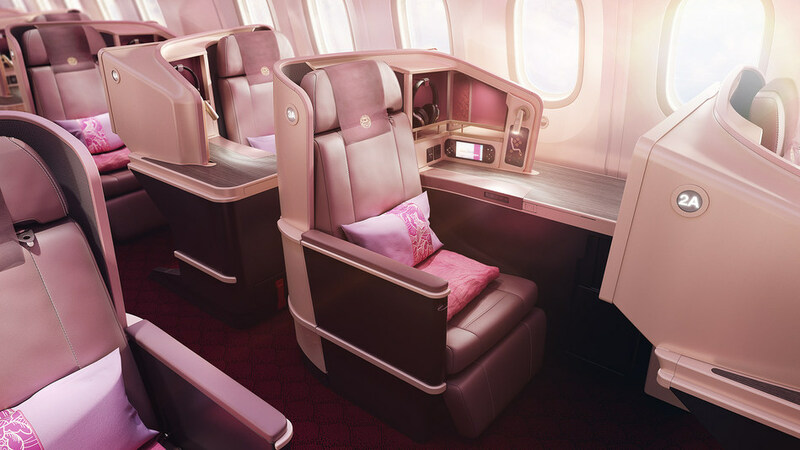 The new interior is the result of a two-year partnership with British design firm Priestman Goode to update the airlines cabin environment, air-to-ground service supplies and service logos. Passengers who get to fly on the newly designed interiors will notice less red, which has been a major color of the airline’s plane interiors. 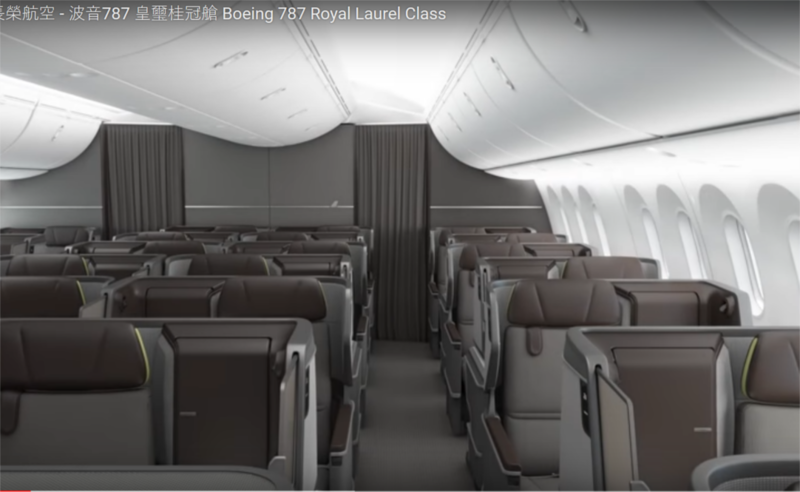 With the new Super Economy class, the new 787-9s will have a 3-cabin layout with 294 seats – 26 in business, 21 in premium economy, and 247 in economy. Inflight entertainment will be provided by the all-new "Hai Studio" hardware and Panasonic EX3 system. Each seat will also feature a “wake-up” service with options for notifications before meal service or arrival. The 21 seats in business class are in a 1-2-1 reverse-fish-bone layout with 46” spacing. With a “champagne gold” color, the Super Diamond seat from Rockwell Collins will also have 5 storage spaces. The business class seats will also feature an 18” monitor touch screen monitor. Premium “Super” Economy passengers will see a MIQ seat made by Rockwell Collins, which includes a recline of up to 7”, an iPad bracket, an individual power plug, and a USB charging port. Each premium seat will have a 13” touchscreen monitor, and arranged in a 2-3-2 configuration. Economy passengers will have CL3710 seats by Recaro arranged in a 3-3-3 configuration with a 7-directional headrest, and a book/magazine holder is designed and positioned to give an additional inch of legroom with a 12” HD touch screen monitor. Along with the new seats, the aircraft will feature new, situational lighting based on natural colors of a river, sun, and moon to create an alternate balance of light and shadow. 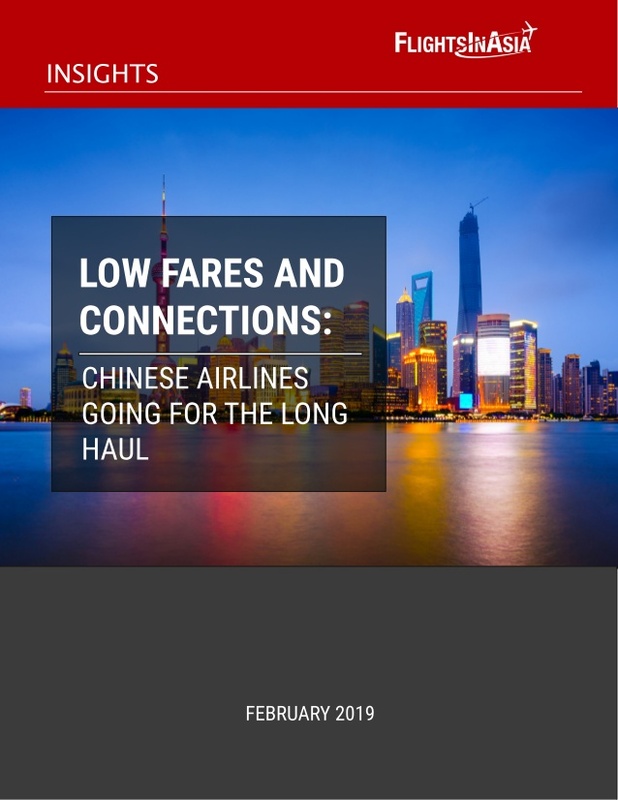 According to Hainan Airlines, the new 787-9s with the Dream Feather interiors will serve routes from Beijing to Haikou, Sanya, Chengdu, Changsha, Guiyang, Fuzhou, Xiamen. Eventually, it will serve trans-Pacific routes to North America.